A growing number of Quebecers are affected by food allergies and intolerances. They have to limit their consumption of certain foods likely to trigger reactions, which can become a real puzzle. 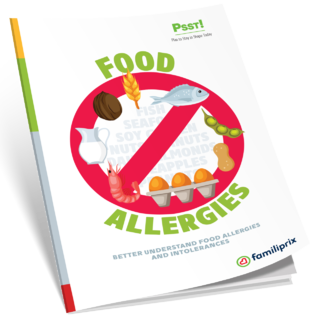 People with food allergies and intolerances face difficult choices at the grocery store, restaurants, and so on. This guide is packed with useful and relevant information to help you adjust your diet and keep enjoying eating!